After being away from home for a week and eating out so much, I was excited to get home and have some home-cooked meals. I didn’t want to go grocery shopping though. No thank you! So I started digging around in the cabinets and fridge to see what we had on hand, and I came up with this recipe. I’ve had a Parmesan Ranch chicken before in a restaurant, but I wanted to try to add a little bit more flavor to the dish with other cheeses (plus, I am a cheese addict). I also wasn’t sure what else I wanted for a crust but realized I had a sleeve of crackers left over from something else, so that seemed perfect to use. This Three Cheese Ranch Chicken came out better than I could have ever imagined! Bryan is normally happy with what I make for dinner, but he kept saying over and over again how good this was. That means this recipe has immediately become a fam fave. I feel like the ranch flavor in recipes can easily get lost, so I wanted to make sure that didn’t happen with this recipe. Therefore, you will see that I used both a dry ranch mix in the crust mixture and ranch salad dressing as the wet coating for the crust. You obviously don’t need to do both, but I think it had the perfect ranch flavor! Crumble your crackers into a fine mixture. After hand crumbling in a Ziploc bag, I took my rolling pin to the cracker bag to finish. The finer the crackers, the more likely they will stick to the chicken. Add the cheese, seasonings and dry ranch packet to the crackers. Keep in bag if you want to toss your chicken or move to a bowl/pan if you want to coat chicken that way. Clean your chicken and then coat in a thin layer of ranch dressing. Coat your chicken with the cracker and cheese mixture. Place chicken in a 9x12 baking dish. I used a glass Pyrex. Bake at 400 degrees F for around 20 minutes. Always check that your chicken is completely cooked as cooking time can vary based on the size and thickness of the chicken. I am already planning on making this again soon! It was the perfect “comfort” meal for our first night home. Could you please format your recipes so that they could be printed on one page rather than using so many pages. I love your recipes and am so anxious to try them; but printing them is a challenge. Sharon, I am sorry you are having a hard time printing the recipes. Are you pressing the print button under the picture within the recipe card? It is next to the SAVE button. When I press that print button, the recipe will print on one piece of paper for me. If it’s coming up different for you, I definitely want to look into that. The only critique I have about this recipe is that the cheese does not stick to the chicken when adding it to the rest of the seasoning. I would suggest sprinkling the cheese on the top of the chicken once in the pan. Otherwise, great recipe. We eat chicken several nights a week and this looks like a recipe we wold all love! What’s NOT to love about 3 cheese and ranch? Yum! That seasoning looks awesome. Very crisp and flavorful. Thanks for sharing this one. Chicken, ranch and cheese are three of my favorite ingredients! I am so making this soon! This chicken looks fantastic. I would love this. We call that “pantry surprise” night! I am impressed with what you came up with. Oh wow! That recipe looks so good. Chicken and cheese are so good together. This recipe is so going on my next meal planning list!!! It sounds amazing! I pinned it too! I would go crazy over this chicken! Ranch and Cheese??? Yes please! Three cheese anything gets my attention! Looks fabulous! YUM! 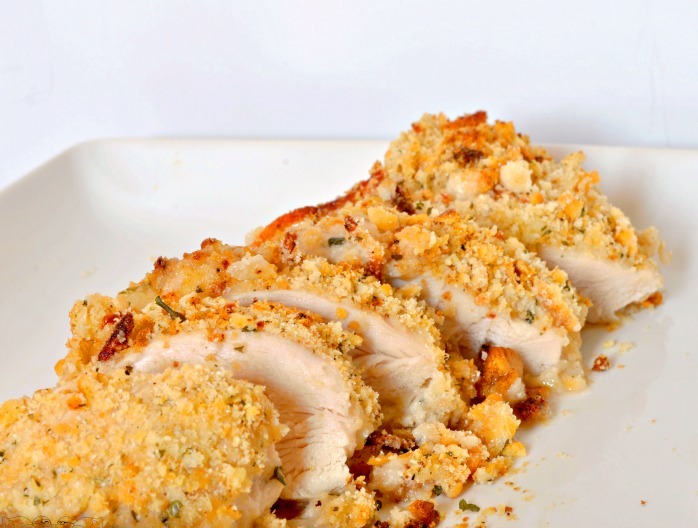 Love this recipe– what a great way to spice up chicken breasts! 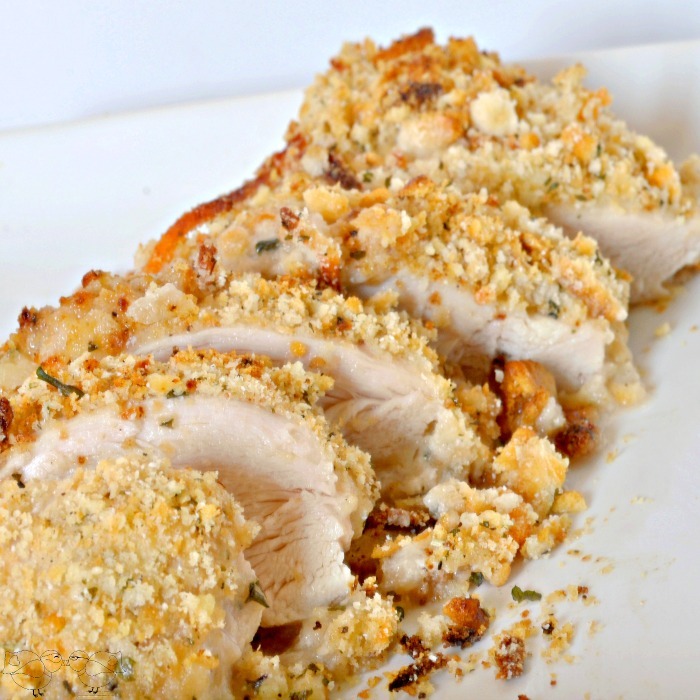 Parmesan chicken is a hit in my house, so I know three cheese ranch chicken would be devoured! That looks delish! I can see my kids wolfing this down. Cheddar and American are favorites here. This looks awesome! I might have to give it a try over at my house! I will let you know how it goes! Oh YUM! My family would LOVE this chicken! Oh wow…this truly looks amazing! I must try. Cheese just makes everything taste better! This looks like a winning recipe, for sure! I love anything with cheese. And that does look delicious. This sounds like a family friendly recipe! Thanks for sharing! Those look really moist! This is a recipe my husband would love. I bet my teen would too. I’m pinning it. I’m not sure if I have a favorite cheese for recipes. I tend to change it up a lot. That recipe looks super yummy though!!!!! Those must be great pictures because I am starving now! I would love to make this dish, it looks and sounds delicious! This has made me hungry! It’s 9:30pm here and i really can’t cook this late.I will give this a go soon,It looks so tasty. I’ve never used ranch on chicken before. I bet it makes it super juicy. And, I like to use parmesan when cooking if it goes. Cheese and Ranch. I’m sold! But I like the Italian seasoning, too! That sounds really delicious and let’s just be honest here – you had me at three cheese. Thanks for the delish recipe. Totally gonna do this. I have all ingredients already on hand. wooosahhh! That’s how the recipe started – easy things I keep in my house already! I hope you like it!! 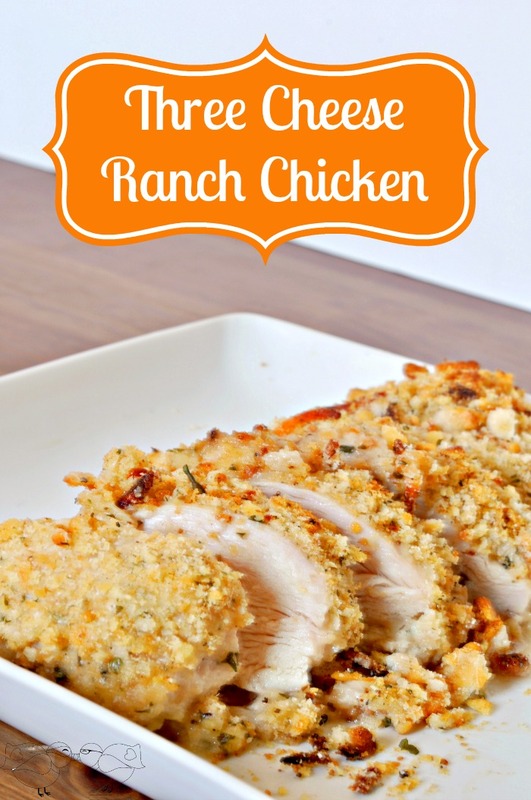 What a great idea for a classic paring of ranch dressing and chicken. Our kids especially will enjoy this meal, as will their parents. Very nicely done! Thanks!! It was definitely a crowd please over here.